Want washer and dryer service? Need same day fridge repair? From regular services to the installation of new home appliances and their urgent repair, our company can help people in Canoga Park CA. As a local and experienced team, we can repair any residential laundry room and kitchen appliance. From compact washers to gas ovens and electric fridges, our experts at Mega Appliance Repair Canoga Park are trained and qualified to fix all branded appliances. Our company is local and we offer repair, maintenance, replacement and installation services in the Canoga Park area. As a company with home appliance service expertise, we know what it takes to fix and take care of residential appliances. So we are always prepared to help you. Every van of our Appliance Repair in Canoga Park is ready to go the minute the client calls. We carry with us a huge number of tools, diagnostic equipment and replacement parts – ranging from new stove and microwave components to dryer and refrigerator repair parts – and so damaged components are replaced during our first visit. We don’t have to return in order to complete our repair work unless we consider it absolutely necessary. The goal of everyone on our Appliance Repair Canoga Park team is to fix well the customer’s problematic appliance. So we are all well-trained, updated with any new appliance and related technologies in California, and ready to offer our assistance. We provide same day emergency home appliance repair and have it as a rule to help our customers as soon as we can. Therefore, customers in Canoga Park can trust that even routine services take place soon after they call and our staff always tries to find the best time frame to suit your program. The cost for our appliance repair service is affordable and the job is always done by expert professionals. 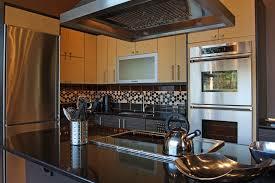 With our professional expertise, we can help you with anything related to your residential appliances. Repairing the damaged and problematic, leaking and noisy ones might be our priority, but our appliance service provider also offers maintenance, and installs your new washing machine, stove, dryer and any other appliance. Call us for your needs.